Jonathan Leonard Cain (born John Friga on February 26, 1950 in Chicago, Illinois) is an American musician, most known for his keyboards and songwriting roles in the rock band Journey. At the age of eight he began accordion lessons, and by the time he was in his teens he was playing accordion and piano at parties and in clubs. He also plays guitar and the harmonica. He was a survivor of the Our Lady of the Angels school fire in 1958, of which he escaped unharmed, but saw many of his classmates die. He later graduated from the Juilliard School of Music. At the age of eight he began accordion lessons, and by the time he was in his teens he was playing accordion and piano at parties and in clubs. He also plays guitar and the harmonica. He was a survivor of the Our Lady of the Angels school fire in 1958, of which he escaped unharmed, but saw many of his classmates die. He later graduated from the Juilliard School of Music. 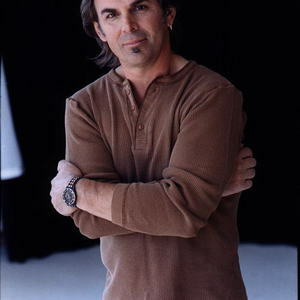 By the mid-70s he had written many songs and released his first record as the Jonathan Cain Band, Windy City Breakdown, in 1976 on Bearsville Records. In 1979, he joined The Babys, appearing on their albums Union Jacks and On The Edge. In 1980 Jonathan left The Babys to join Journey, taking Gregg Rolie's place. Jonathan helped Journey to the top of the charts with his first collaboration, Escape. He would go on to appear on at least 13 other Journey albums and compilations. When singer Steve Perry left Journey in 1987, all of the band's members went their "separate ways". Cain would reunite with his former Babys bandmate, John Waite, to form the band Bad English, which would release two albums before the band's breakup. He has received two BMI songwriter awards, both for songs co-written with Steve Perry, Open Arms and Who's Cryin Now, and the song When You Love A Woman, which he co-wrote with Perry and Schon, was nominated for a Grammy Award.